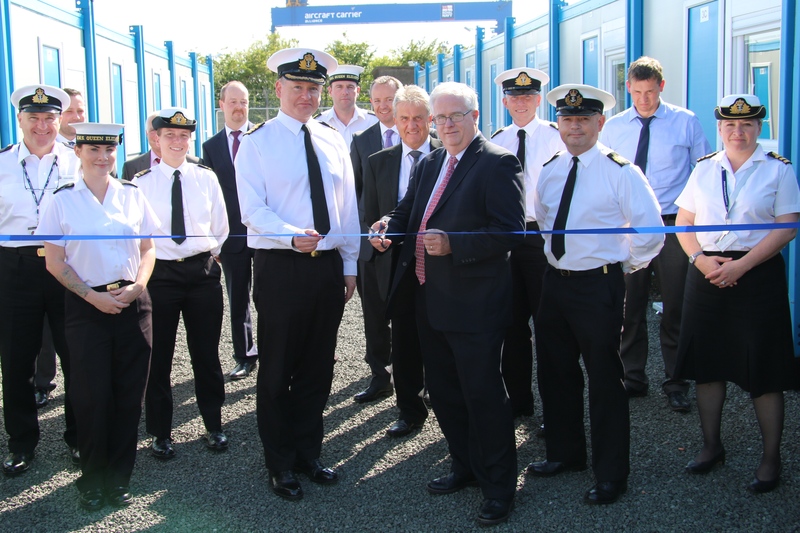 Hi, I’m Peter Bush, DIO’s Head of Establishment for MOD Caledonia in Rosyth and I’ve been heavily involved in a DIO project here to provide temporary accommodation for naval personnel working on the Royal Navy’s new aircraft carriers. 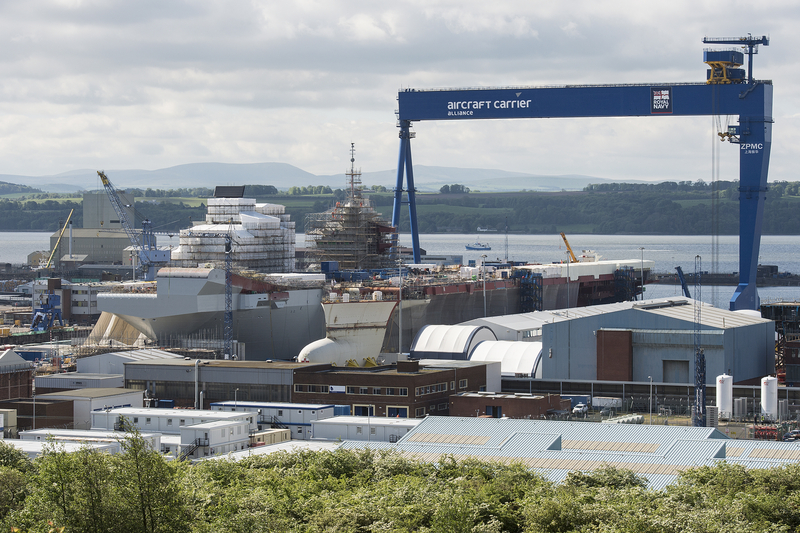 HMS Queen Elizabeth, the first of two new Queen Elizabeth Class aircraft carriers being built for the Royal Navy, is currently being fitted out here at Rosyth. As you can no doubt imagine, that means there are an awful lot of Royal Navy personnel here working on the carrier and getting to grips with its operations. MOD Caledonia is supporting this by providing recreational facilities, security, and mess facilities. We’re also providing accommodation. Caledonia already had 422 suitable bed spaces available but a DIO assessment indicated that we needed 704 in total – a shortfall of 302. We looked at various options to make up the difference and decided that the best solution was to provide self-contained portable cabins. This was quicker and cheaper to set up than building units from scratch and avoided the need to rent private accommodation, which would have cost more and seen crew members widely spread out. This way they will all be living together, just as they will be on board ship. 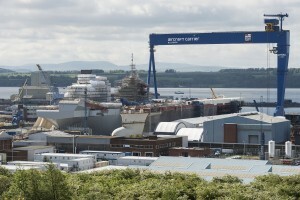 There’s also no enduring need for the accommodation once work on the carriers is complete, so if we constructed a purpose-built accommodation block, at a cost of millions of pounds, it would be empty in a few years anyway. Accordingly we awarded the contract to supply the cabins to Bunkabin and the contract to undertake the necessary infrastructure works went to Imtech. This included the construction of a drainage and sewage system to connect into local services together with the installation of an additional transformer to meet the additional power requirements. The cabins are durable enough for what we need and are surprisingly comfortable and well-appointed. They are all en-suite single occupancy cabins and of a similar style used for large scale events such as the Glastonbury Festival and F1 at Silverstone. All of the cabins have internet connectivity. 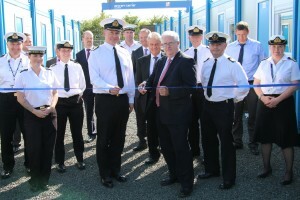 The first phase of the project was recently completed with personnel moving in to the first 36 completed cabins. DIO’s Director of Service Delivery, Leo O’Shea, was here yesterday to formally open the facility. The second phase is well underway and the project is scheduled to be completed by early 2016. It’s been a real example of collaborative working between a number of organisations and businesses. We worked closely with CarillionAmey, which is contracted to do the day-to-day management of the site; Aramark, whose staff run the facility; Bunkabin and Imtech. This project is far from the only area in which DIO is playing an important role in the Queen Elizabeth Carriers project. Colleagues and contractors in Portsmouth are working hard to prepare the naval base for the arrival of the carriers in early 2017, including dredging the approach channel, renovating the jetty and installing a new high voltage power supply. 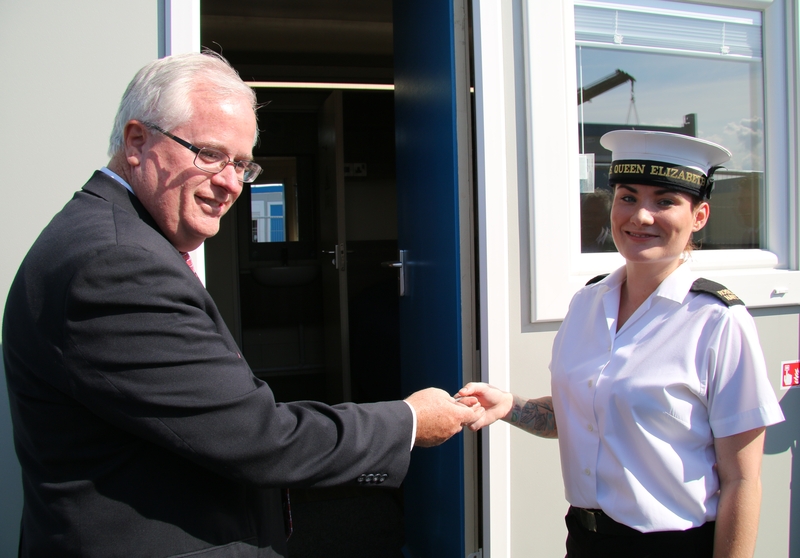 During a recent visit to MOD Caledonia the Navy’s First Sea Lord, Admiral Sir George Zambellas stayed in one of the cabins and was very complimentary about his experience, which is a great endorsement for the cabins and the work done to get them in place.